Do not miss the opportunity to be in touch with nature just 10 minutes from the center of Liria. 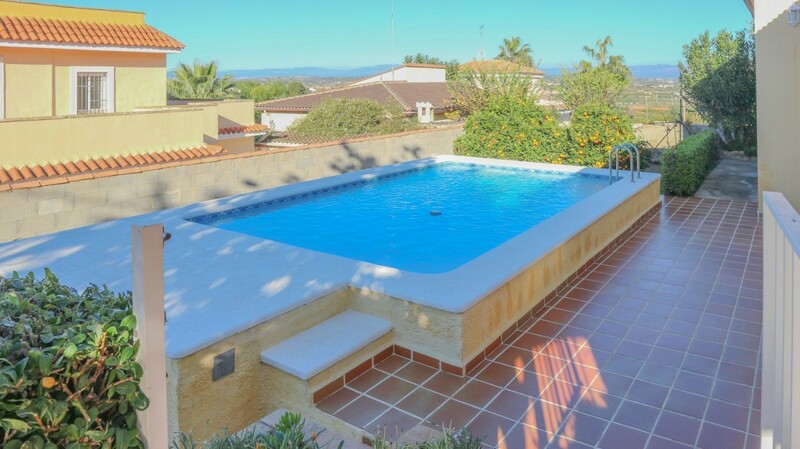 This villa located in the urbanization of El Palmeral has it all with a plot of 1853 m2 equipped with 2 swimming pools one fully fenced for security of children and pets and another ideal for the little ones, an area with lawn under the shade of a beautiful carob tree where to spend good times with yours. Another area of land where we find all kinds of trees, orange trees, lemons, tangerines, medlars, quince trees, pears, cherry trees, nogueras, carob trees, almonds, olives and laurel. You also have space to set up your own vegetable garden and everything prepared with a drip irrigation system. If nature and countryside relax you do not miss this bargain. The construction is distributed in 2 floors, a lower one that can be used both as a garage and to store the tools and utensils of the field and another accessible floor plan that consists of 3 rooms of which 2 double a cozy living room, independent kitchen, a bathroom and a porch at the entrance where to gather the whole family. Next to the bathing area we have a closed barbecue grill where the rain will not prevent you from inviting your friends to a paella or a barbecue and in summer you will have the security of being able to make fire without danger to the outside environment. The plot has 2 accesses, one main from the access street and another direct to the mountain, a privilege to make your walks with your pets or as a family. Come and meet him you will love it. Abrir en el Traductor de Google. SINGLE FAMILY HOUSE + 500 M OF LAND IN LOPE DE VEGA STREET Nº2 IN THE CAVES OF UTIEL, UTIEL (VALENCIA) JAVIER GUIOT BERMUDO. Peace and tranquility with all the comforts around you. 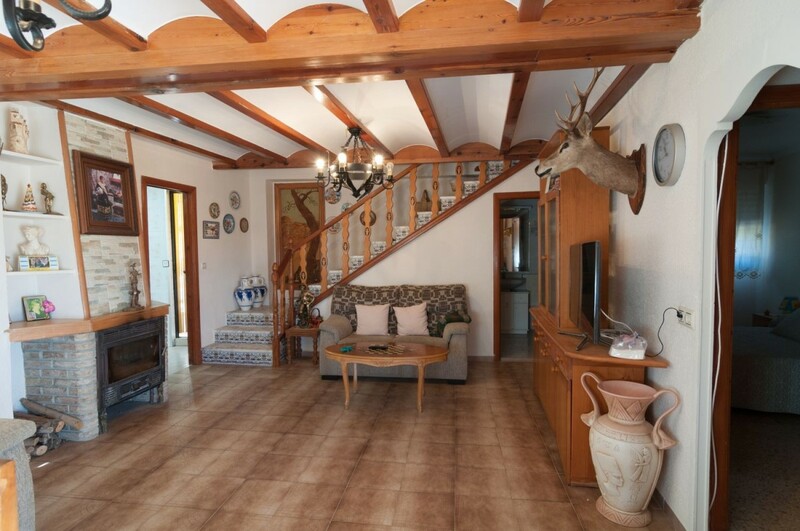 For sale large house in Cuevas de Utiel hamlet located about 11 min from Utiel center, fully renovated and with all services around, pharmacy, health center, parks, shops, bars, oven, etc. House of 175 square meters of two floors totally to enter to live, reformed completely with heating by radiators in all his stays. Five spacious rooms two of them on the ground floor where we find an independent dining room, full kitchen with access to a large backyard for barbecues and laundry, a bathroom and a large cupboard taking advantage of the stairwell. On the upper floor we find two more double rooms and a large open space to create a painting workshop, a private gym or simply a large room for visitors. 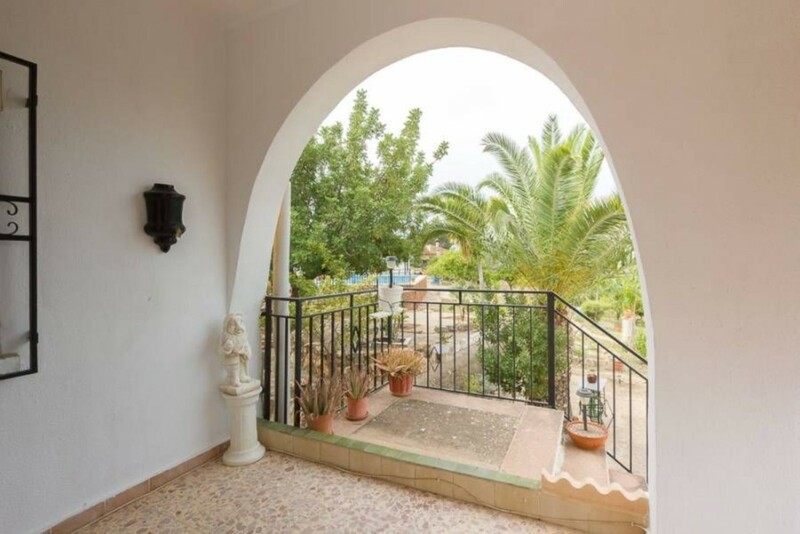 A part of all this with the sale of the house also enters a field a few meters from it about 500m approximate, if you like agriculture and grow your own food there you have the opportunity, or just want a relaxation area with private pool. Now you have the opportunity for the same price single-family house + land. Chalet in Beselga urbanization in the upper area of Estivella. Overlooking the mountain, surrounded by pine trees. 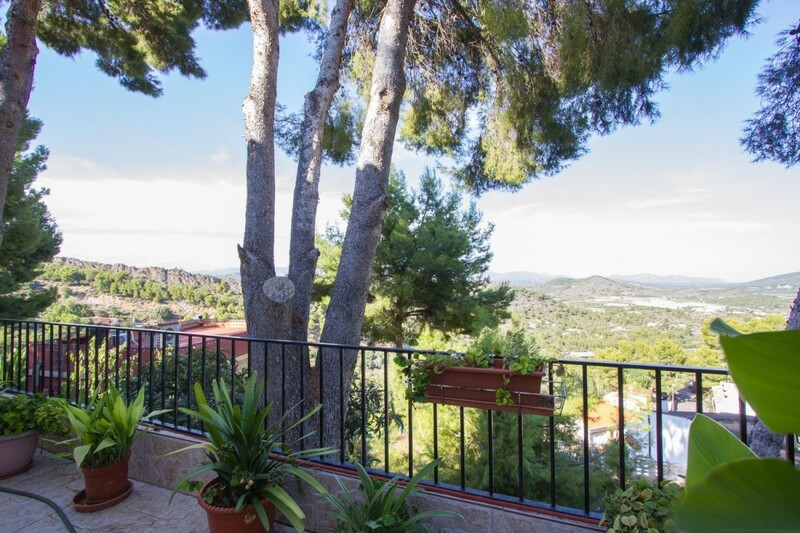 The separate house on two floors, with a front terrace where to enjoy the pines and the views, has an outdoor kitchen for the days of Mediterranean climate. On the ground floor has a living room with fireplace, separate kitchen, bathroom, bedroom and laundry room. On the upper floor is accessed by stairs there are four bedrooms with independent balcony and a bathroom, all with a good orientation and draft, and of course with windows facing the mountain. An area of the plot with water tank and dedicated to the cultivation of vegetables for own use, another zone of solarium with swimming pool. Beautiful garden in unevenness with different colors. And hill area with olive trees at the top of the plot. Where to enjoy nature, the company of squirrels, pines, and the best views. Wonderful villa of 2441m2 plot; 280m2 of housing consisting of 5 bedrooms, 2 bathrooms; the property is ideal for contact with nature. The terrain is wonderful, has a garden and is surrounded by plants, trees, palm, olive, fig, etc. 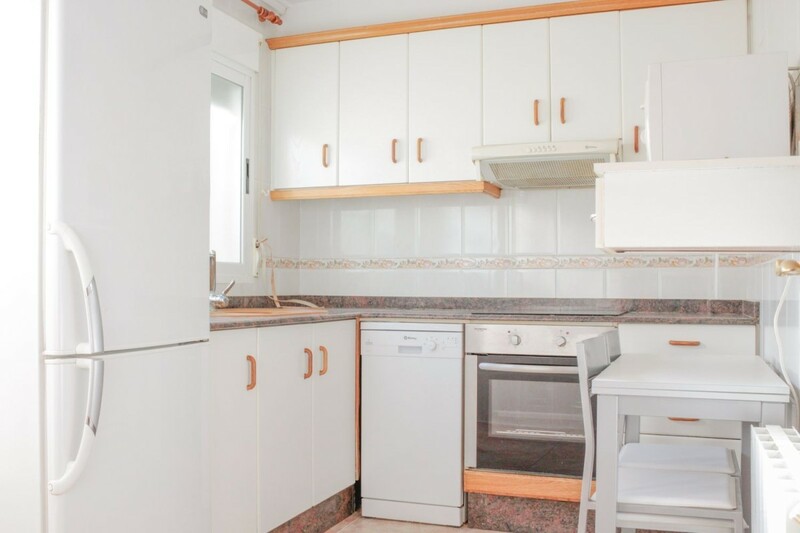 It has an independent kitchen, ideal for Sunday´s paellas and barbeques. It has a pool and a room for storing tools or do storage function. If you want to get away from the noise of the city and be relaxed, in full contact with nature does not hesitate to come visit, you´ll love it for sure. Spectacular villa-urban-for sale in Torrent Valencia, area Masia de Pavia. Come and see this house with fully paved access to the house, consisting of 3 double bedrooms with built-in wardrobe in the master bedroom, a bathroom and an outside toilet that serves the pool area. Lovely dining room with natural wood beams, and fireplace for the cold winter nights with access to one of the terraces, from the kitchen you will access the main terrace and the pool area. Privileged environment to enjoy with friends and family a nice meal, which you can do in the barbecue that has this house, with nice views of the plot itself, because of its vegetation and its source, you can not stop looking. You will also have a separate garage and a large storage room to be able to have everything in place. Part of 2,600 m2 on which this house of 170m2 is located. If you are looking for tranquility, surrounded by a countryside environment, this is your home, call us and we will show you. 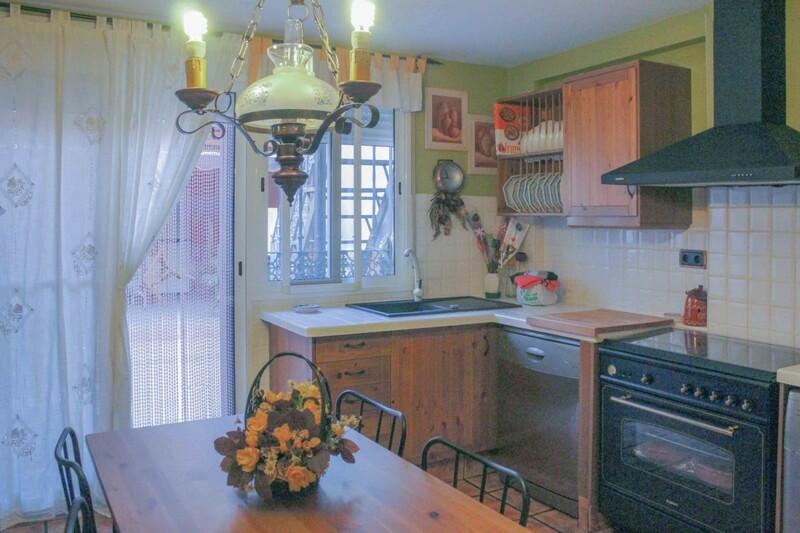 Fabulous rustic house, in the Valencian town of Real de Montroy, located right in the center. This property consists of two floors with magnificent finishes. On the first floor we find living room, double bedroom, bathroom and kitchen with access to a large terrace of 30 m2, part of it closed with gazebo, from it you can access another terrace of 28m2 located at the top with access to the double room, bathroom and single room with balcony to the street. The upper floor can also be accessed by a staircase inside the house. We wait for you, come and see her! In the Pobla de Vallbona and bordering the Eliana we find this fantastic and cozy detached villa on two floors, with 621 square meters of plot and 238 square meters built, it receives a beautiful independent pool, a large garden to be in contact with nature and where You can enjoy some great sunbathing and a great summer afternoon and next to it a comfortable space for parking. 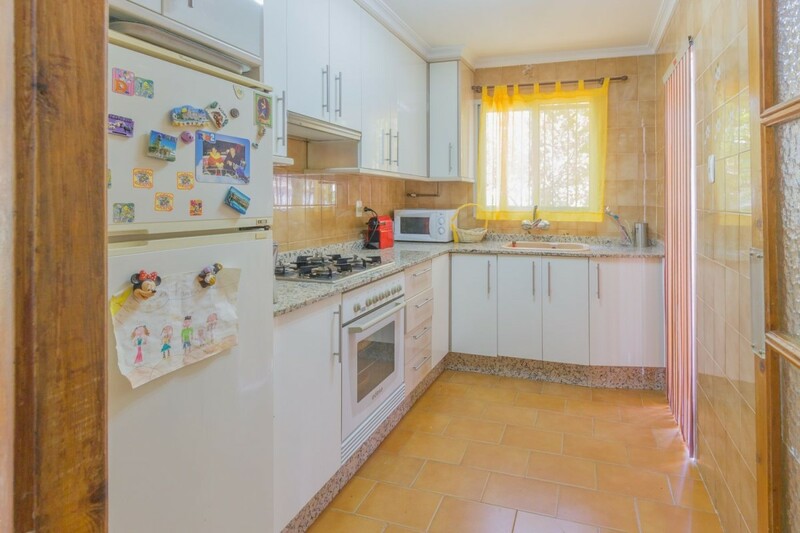 Before entering this fantastic home you will receive a cozy and spacious porch to enjoy on a warm Valencian day a rich breakfast or a few dinners with family and friends. On the first floor we find a bright and spacious living room with fireplace, ideal for cold winter nights, on this first floor we also have the kitchen with pantry, the laundry area with a great paellero, a small distribution hall that It distributes two simple rooms and a bathroom with bathtub The second floor is separated by a straight and easy staircase, once up we see a beautiful room separated in two with an arch where you can put your work area, a double room with space for a dressing room, a bathroom and a useful storage room. 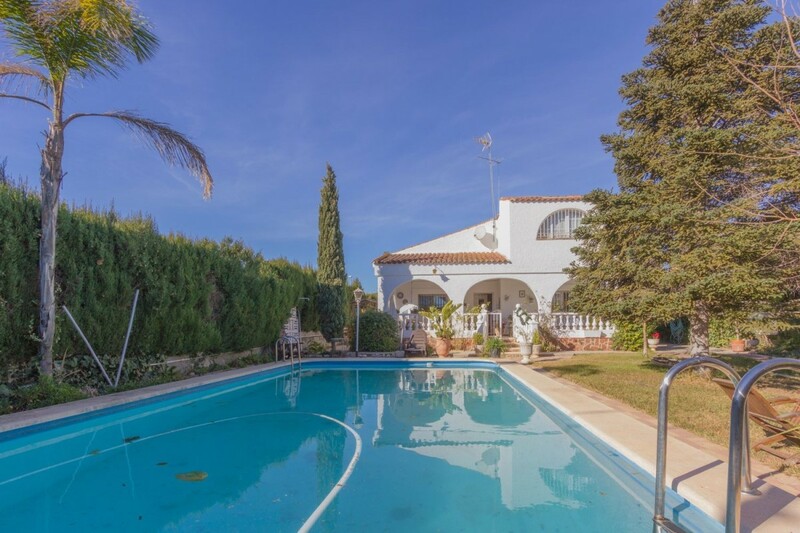 No doubt a great home located in a very privileged area, near shopping centers but away from the fuss that these cause and only 20 minutes from Valencia. Very attractive both in space and in price, do not hesitate to visit it you will fall in love. Would you like to live in a great villa located in the urbanization of La Sima, Pobla de Vallbona, Valencia? Magnificent villa of 282 square meters according to cadastre It has two floors, in the main one: entrance hall, very large independent kitchen with enough room to eat comfortably, large room very bright and welcoming, with direct access to the covered porch, which overlooks the pool and garden where you will enjoy all summer without limits! It also has two bathrooms with shower screen, for more comfort. A very spacious ground floor double bedroom that can be used as a master bedroom, and another two singles, on the first floor, an office and another large room with exits fantastic terrace and all have fitted wardrobes type dressing. Outside: Pool, consolidated and well-maintained garden, with natural grass, bonsai type olive tree, lemon and orange tree. The plot has a perfect measure to keep it barely working. It has a garage and storage room with loft. Qualities: the property is in perfect condition with heating in all stays, osmosis in the kitchen, the windows are double glazed, with blinds and mosquito nets, the walls are smooth, security entry door. 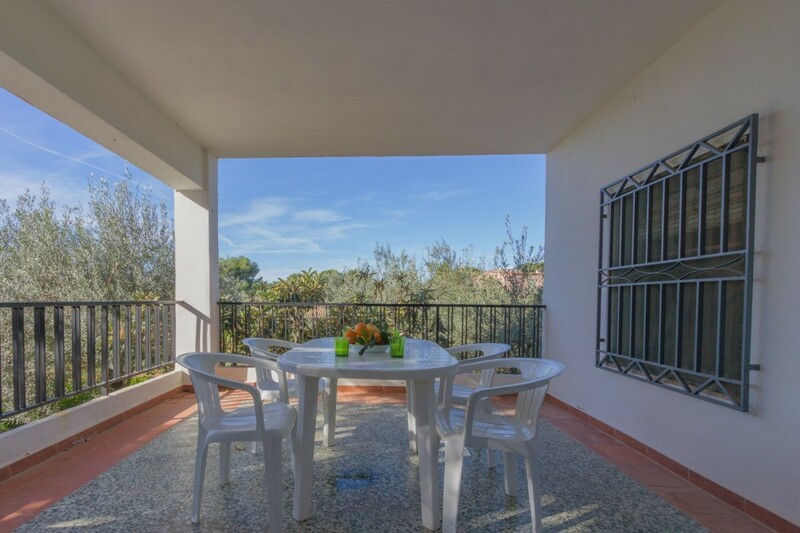 Quiet area and fully urbanized, free school bus, close to all the services offered by the CC EL OSITO, DECATHLON, and the town of Eliana, San Antonio and La Pobla de Vallbona. It´s perfect, do not forget to visit it!